We all know the “normal” situation when the dominating knight is humiliating the poor bishop. Here is a “pure” example with only the relevant pieces on the board. However, in chess, as in life, things are rarely this simple. 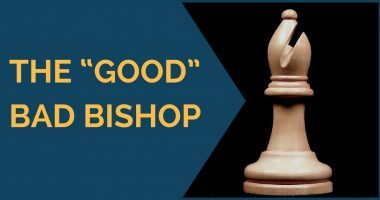 In the course of my career, I have discovered quite a few situations when the “bad” bishop wasn’t that bad after all. I would like to share with you a couple of examples that show that even in seemingly desperate positions the player with the bishop shouldn’t lose hope. The first example is perhaps the more instructive one. It does look hopeless for Black, doesn’t it? The bishop has absolutely nothing to do and the knight is a monster. White can take all his time to try to create something on either side of the board. However, if you think about it, what exactly can White do? Once you start thinking about this, you realize that the control of the c-file is a very important factor. This means that playing on the kingside with g4 is not to be recommended for White as Black can immediately enter with …Qc1. What about the queenside then? It transpires that playing b5, after …ab, ab, gives the “dead” bishop on e8 a target – the pawn on b5 will require constant defense. And playing a5allows the bishop to jump out to b5 and become more active. After this analysis, you now understand that here, in fact, Black isn’t worse at all! It was also a surprise for me to discover this the first time I had a look at this position. It is very curious how the game continued. White decided to prevent …Qc1 and played 32 Qa3. This allowed the queen to penetrate on c2, hence 32…Qc2. This also attacks a5, so White played 33 a5 and after the exchange on a5, 33…ba 34 ba the black bishop could now become more active from the b5-square: 34…Bb5. It is important to note that now White is, in fact, facing some danger. The black queen and the bishop are threatening to cause some discomfort to the white king. This is quite a change from the completely safe position White had at the beginning and these sudden changes in the position can often have a devastating effect as the player fails to adapt to the new situation. White correctly moved the king to g1, 35 Kg1, avoiding ideas like …Bf1. Black was probably already keen to draw the game and gave a check, 35…Qd1 and then disaster struck for White. Instead of repeating the position after 36 Kh2 Qc2 (or 36…Bf1 37 Qb2, taking control of the second rank, and after 37…Qe1, attacking both a5 and e3, the glorious, but so far rather useless knight, enters the fray by 38 Nf7, threatening Qb8 attacking Black’s king! A repetition will soon follow, for example, 38…Qe3 39 Qb8 Kg6 40 Ne5 Kh7 41 Nf7), White, probably in time-trouble and perhaps worried about the mentioned line after 36…Bf1, went to the other side, 36 Kf2, but this allowed Black to achieve what White was trying to prevent! After 36…Qd2 37 Kg1 Qe1 38 Kh2 Qf2 the inevitable threat of …Bf1 wins for Black so White resigned. Quite a shocking turn of events! It is impossible to imagine that from the starting position the dormant bishop will deliver the final blow on f1 in only 7 moves! Also, note that the “good” knight was largely an observer of the whole development of events. So much for being good. In case you would like to see the whole game, the players were Ivan Farago-Jan Donner and the game was played in Amsterdam in 1979. The second example I would like to give is from the game Isaac Boleslavsky-Hector Rossetto, played at the Helsinki Olympiad in 1952. This is the famous Olympiad where the Soviet team voted to expel the World Champion Mikhail Botvinnik out of the team (due to allegedly “bad form”) and played without him, with Paul Keres on board 1. White dreams to put a knight on c5 and a king on d4 with a winning position. But it is Black to play here and he has a hidden resource to activate his seemingly passive and prospectless position. In the game, Black didn’t show a lot of resilience, missed quite a few drawing chances and lost in an “exemplary” fashion. For those interested to see how White wins in case Black is complacent, take a look at the game. Going back to the diagram, Black has the fantastic move 21…Rb7!! Looks ridiculous, but it is, in fact, a prophylactic move, preventing Nc5 and also an active move with the ideas of …a5-a4 or …c5 in mind. An illustrative line is 22 Ke2 c5! 23 Nc5 Rb2 24 Kd2 Bf5 (the bishop isn’t passive anymore) 25 Nd3 Bd3 26 Kd3 Kf8 with an equal rook endgame. A better try for White is to play 22 Rd1, preventing …c5 and aiming to meet 22…a5 by 23 Rd4. Black is better advised to centralize the king by 22…Kf8, White follows suit, 23 Ke2 Ke7 24 Rd4 and now Black should play 24…g5! This grabs some space on the kingside and basically keeps the position as it is. Please note and decide for yourself which light piece is worse – the “bad” bishop on c8, or the pinned “good” knight on b3? Thanks to his excellent 21st move Black managed to render the “good” knight pretty useless! The position is objectively equal after 24…g5 and this example shows that with precise, active and dynamic play Black could have prevented the typical scenario of the “good knight vs. bad bishop”. 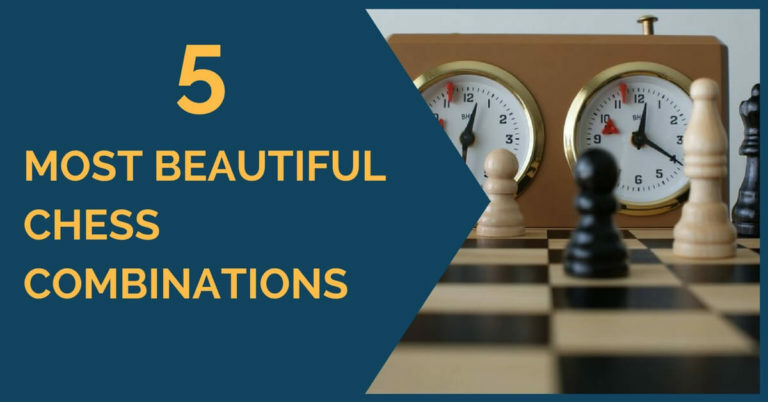 What is unusual with this example is the use of the rook to pin the knight and prevent it from coming to the ideal c5-square. 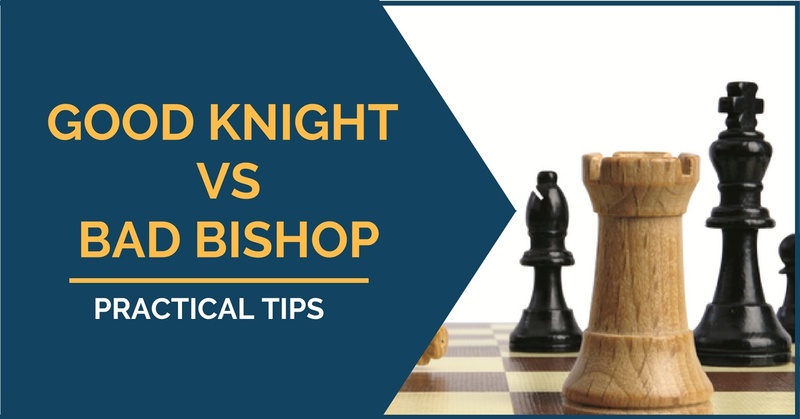 As you can see now, the typical positions of good knight vs. bad bishop are not always straight-forward and can contain hidden resources for the defending side. All that remains is to discover them! I hope that these two examples have managed to widen your horizons and improve your understanding of these positions. 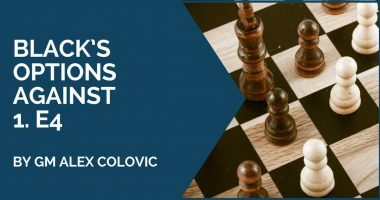 GM Alex Colovic is a chess professional for over 20 years, participated in more than 200 international chess tournaments around the world, winning dozens of them. Alex won 17 Macedonian Team championships. In 2017 as a head coach and captain of the Macedonian women national team (starting rank 30 out of 32) scored the best result in the history of the country by finishing shared 20th in the European Team Championship in Crete (Greece). His long-term goals include playing Magnus Carlsen, writing a book on chess Psychology and visiting the Canary Islands.